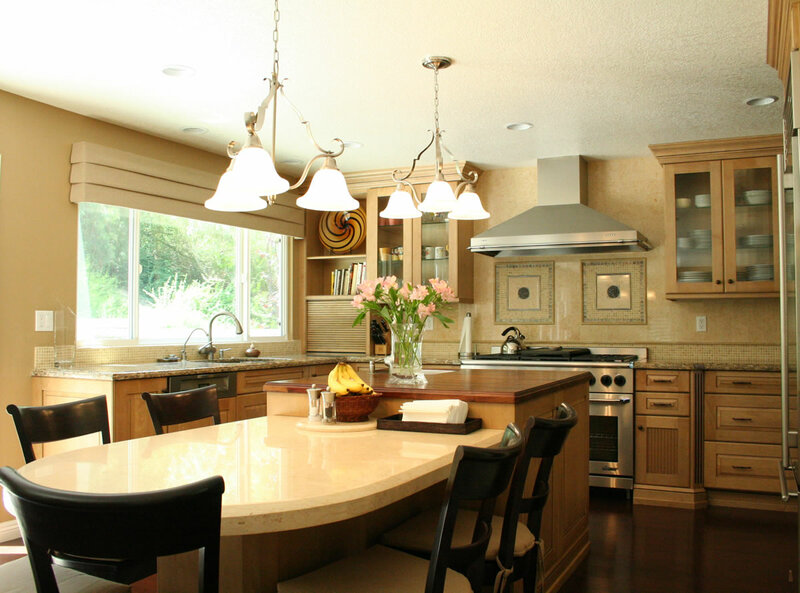 Diamond Bar Kitchen Remodel 2008 | Le Gourmet Kitchen Ltd.
Bruce Colucci designed this alluring kitchen located in Diamond Bar, California. 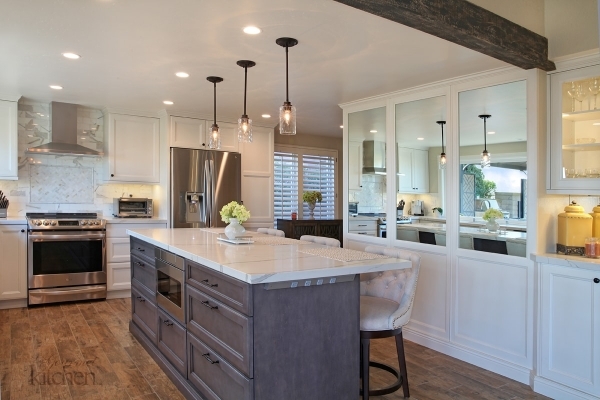 this kitchen boasts traditional aspects with a contemporary light by using a mix of light cabinetry and back splash with dark hardwood flooring. 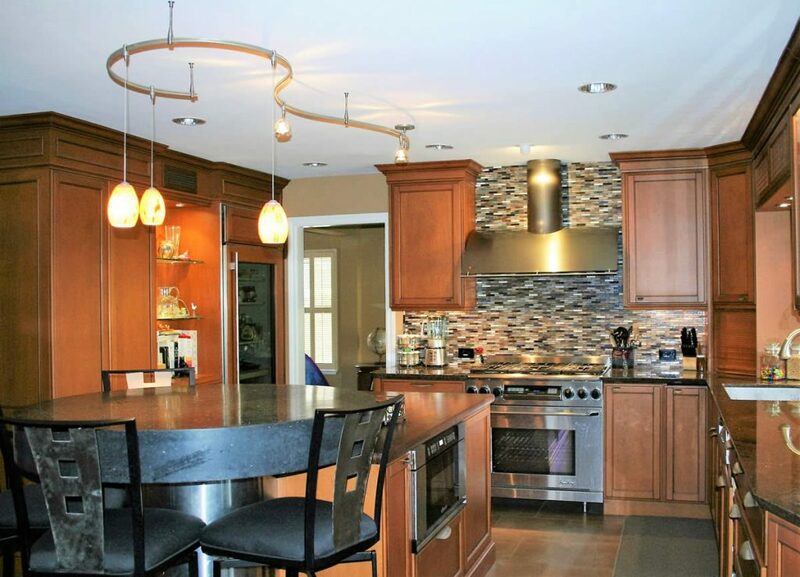 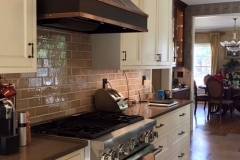 The natural stone tiled back splash is custom for this kitchen. 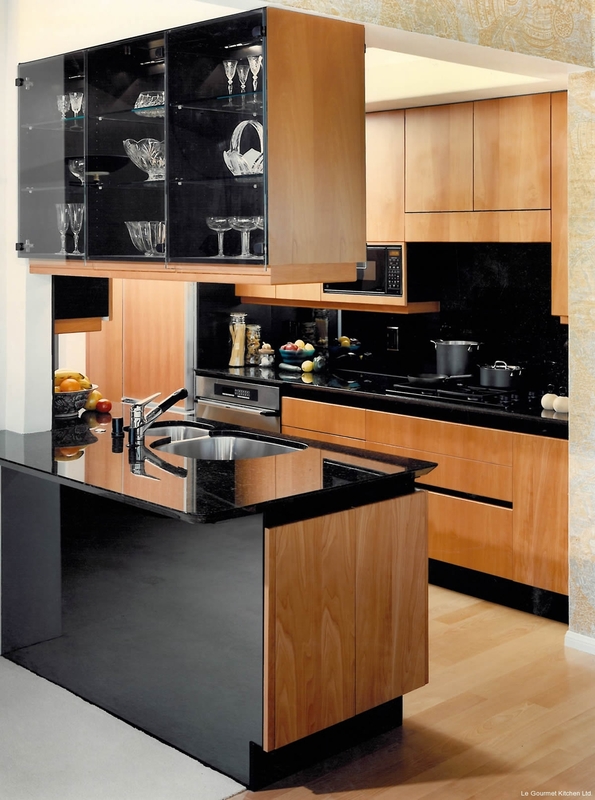 By using glass-paned cabinets, the room feels as though its bigger. 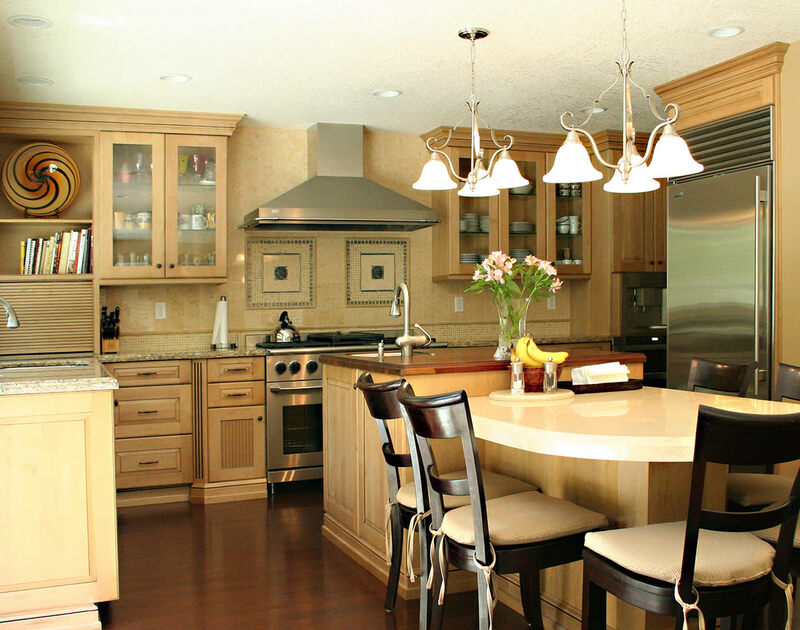 The breakfast nook makes the kitchen feel more homey and welcoming. 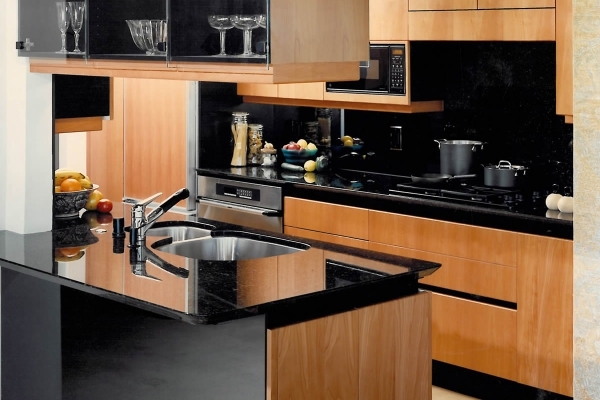 Additionally, the mixed granite counter top paired with the stainless steel appliances and hood provides contrast to the kitchen. 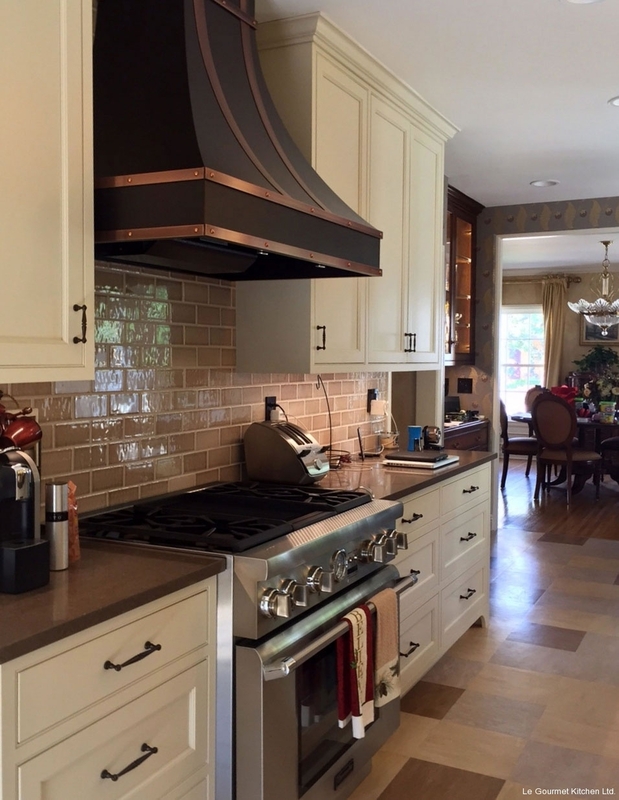 Bruce used a Décor range with a customized Vent-a-Hood above. 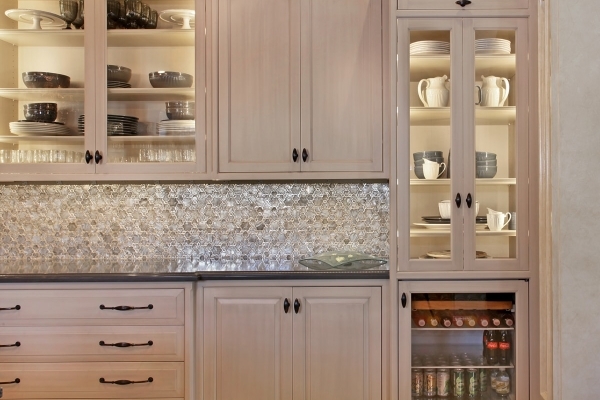 The Appliance garage is great for hiding appliance that may make the kitchen look messier without it. 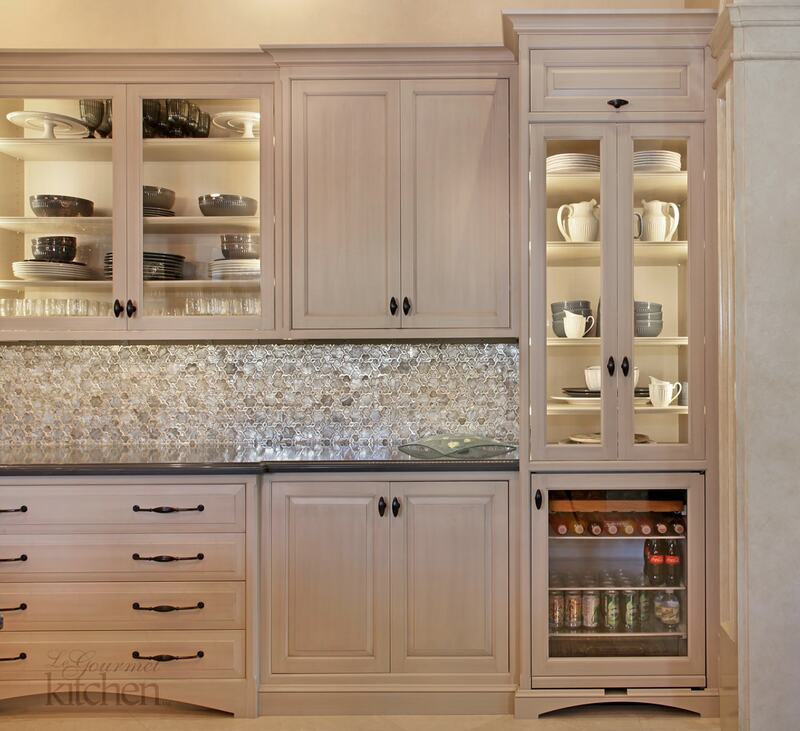 Additionally, the Sub zero fridge finishes the kitchen with a sleek design. The added detail of the hanging kitchen light pendants really tie the final product together.